Odd. 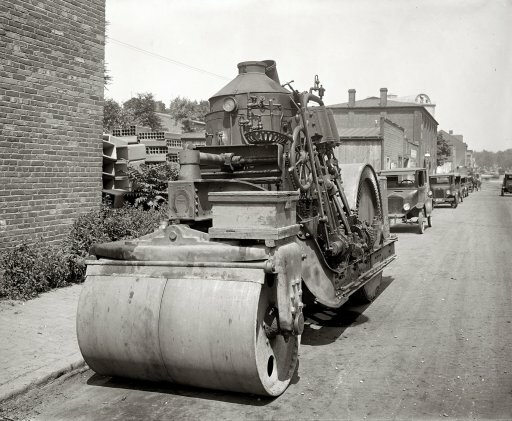 I still think of “road rollers” as steamrollers. I suppose I may have seen a steam-powered roller in the 1960s (I remember some parts of my childhood). But I was not making the connection until seeing these on Shorpy and now here. You made me giggle this morning, Magpie, and I have not yet even had my coffee. Thank you. “Road Rollers” is quite a name. There really should be more steam powered vehicles/utilities used. It’s a shame they’ve ‘phased out’.